To empower artists, creating a market is good solution ? The Urban Maker Market for independent designers has been held in East London. When Christmas is approaching, people are busy with shopping and preparing for the holiday. What do small businesses do ? They are probably involved in Christmas market. If you Google “Christmas markets in London”, enormous markets will pop up for visitors and sellers. Urban Maker market in one of the Christmas markets as well. Urban Maker Market is opening on 9th and 10th December. 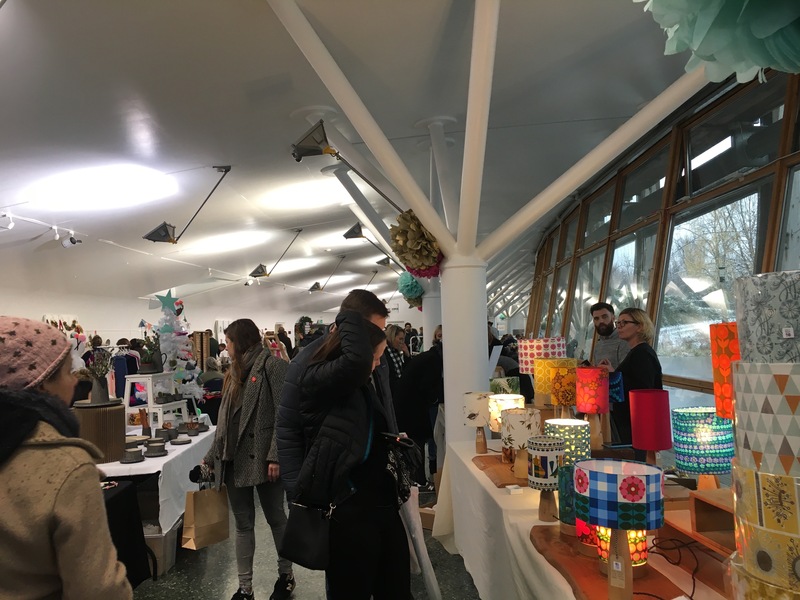 The market invites local designers in East London and holds a market every season at Ecology Pavilion in Mile End Park. This year is Urban Maker Market’s third year. Today, Londoners face many options and find it difficult to choose which independent artists’ market to visit. But three years ago, founders, Julia Redgrove and Llke Dickens both independent artists found difficulties to promote and sell their design works. So, they decided to create a market particularly for budding designers in East London. During the development, they have created Urban Maker Perks, the small business scheme for designer and crafters. The scheme aims to introduce the market’s partners to designers, offer discount for joining markets and promotion to designers. When we asked artists about the speciality of the market, they gave us the similar idea. The artist, Sian Malachlan said: “I live in East London and I like this specific for East London market. It always looks so polished.” Another artist, Riannon Selcuk also pointed out there is no many markets for handmade and craft in East London. Although they didn’t have any solution to increasingly intense competition, they tried to change and invent more new ideas. This year, they decided to create Christmas pop-up shops from November to December for twenty five brands and they may tend do the similar shops more instead of only markets. Speaking to visitors. Andy Bernard told we that he went to another market today but preferred this market due to a variety of designers. It was the second he went to the market, but he thinks the Urban Makers should promote themselves more. Another visitor, Marnix Bik also appreciated the cozy atmosphere here and gave up the plan to another market. However, both visitors said they were not impressed or interested in artists in particular. Redgrove cannot answer why their market are different to others, but the answer is already gave by visitors. Lovely atmosphere, nice location, and a variety of crafts may be the reason why visitors are willing to come even in such snowy day.